Australian heiress Sophie Higgs has had her fair share of lucky escapes and close shaves. At age 18, Sophie was sent to finishing school in England, but she learnt much more than how to sit up straight and put her gloves on correctly. The school’s enigmatic founder, Miss Lily, was a woman on a mission who taught her young charges how to use their charm to help influence society for the better, and how to gain political and social power in a world of men. With Miss Lily encouraging her charges to help where it was needed, Sophie was swept into the heart of the First World War, founding and running a series of hospitals across war-torn Europe and often risking her life. Then, after the war ended, Sophie embarked upon a life-or-death journey to save her beloved Nigel, Earl of Shillings. The Lily in the Snow begins in 1929 with Sophie enjoying a quiet, comfortable life as the Countess of Shillings. Although their marriage has its complexities, Sophie is a contented wife to Nigel, and a devoted mother to boisterous young twins, Danny and Rose. Her old, adventurous life seems very far away. That is, until one day, when Sophie’s old friend, Hannelore, visits. Hannelore was another of Miss Lily’s charges and Sophie has many fond memories of toasting crumpets and gossiping with her friend after classes. Now Princess of Arneburg in Germany, Hannelore has fallen for a charismatic young politician called Adolf Hitler. According to Hannelore, he is the only person who can save Europe from another devastating war. Another visitor to Shillings Hall is Sophie and Nigel’s friend, the Prince of Wales, who is delighted by Hannelore and entranced by her devotion to Hitler. The Prince orders Sophie and Nigel to travel to Germany as his informal emissaries, to assess Hitler and decide whether the Prince should offer the German politician his support. Knowing they can’t refuse the Prince’s request, Sophie and Nigel reluctantly head off on their covert mission. But they quickly discover Hitler is no saviour, and when they uncover his plan to ensnare the British Royal Family, the couple are swept into a dark world of secrets, scandal and murder. The danger is heightened further when they realise that for some mysterious reason, Hitler and his men are also after Miss Lily. Can Sophie save all that’s precious to her? 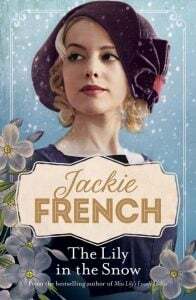 The third instalment in Jackie French’s Miss Lily series, The Lily in the Snow is a gripping tale of espionage, love and war. In Sophie and Nigel’s quest to investigate Hitler, French has written a story that is a perfect blend of fiction and historical fact, with vivid snapshots of the beautiful English countryside and decadent, dangerous Germany. French’s scene-setting is faultless. Like The Matilda Saga, French’s bestselling series that writes women back into Australian history, The Lily in the Snow boasts a vibrant and nuanced cast of female characters, Sophie, her maid Green, Hannelore and the mysterious, unsinkable Miss Lily, among them. Down-to-earth, clever, determined Sophie is particularly well crafted, and in charting her journey, the story also highlights the changing roles of women in the heady period between the two World Wars. Although complex and rich in historical detail, French manages the plot’s gripping twists and turns with a deft hand, and the pace never flags. Fans of the Miss Lily series will love this latest instalment, and as it works as a standalone, it’s sure to win over plenty of newcomers as well. With lots to say about women, relationships and power, The Lily in the Snow is all you could want in a book – smart, thought-provoking and endlessly engaging. 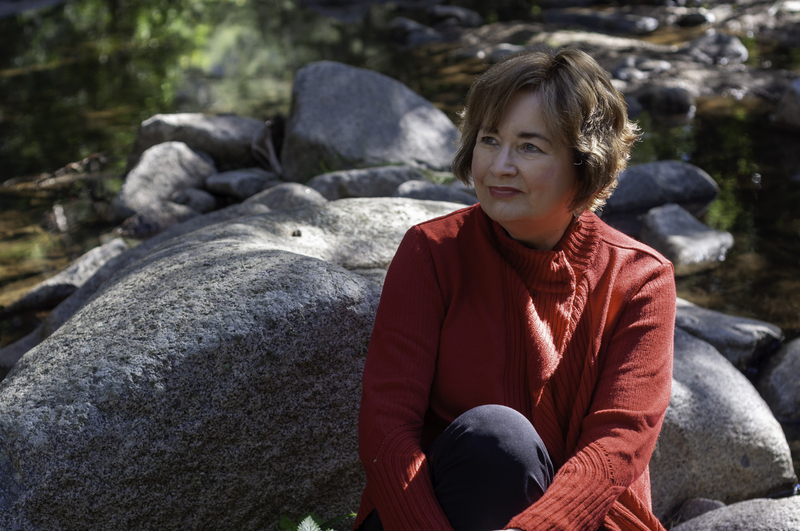 Jackie French AM is an award-winning writer, wombat negotiator, the 2014–2015 Australian Children’s Laureate and the 2015 Senior Australian of the Year. In 2016 Jackie became a Member of the Order of Australia for her contribution to children’s literature and her advocacy for youth literacy. She is regarded as one of Australia’s most popular children’s authors and writes across all genres — from picture books, history, fantasy, ecology and sci-fi to her much loved historical fiction for a variety of age groups. ‘Share a Story’ was the primary philosophy behind Jackie’s two-year term as Laureate.